Foggy, but I don’t remember it being particularly foggy. The microphone is positioned on a breakwater, on the beach below the bowling greens with the tide nearby. You hear the rumble of a ship, a bird calling, the fog horn at the end of the pier, faint in the distance. The loud, regular pounding you get from shipwash. You also hear some passers-by on the pavement, heading towards Westcliff. Recorded about 2.00am, so perhaps the lucky people of Chalkwell Esplanade had been lulled to sleep by this melody. 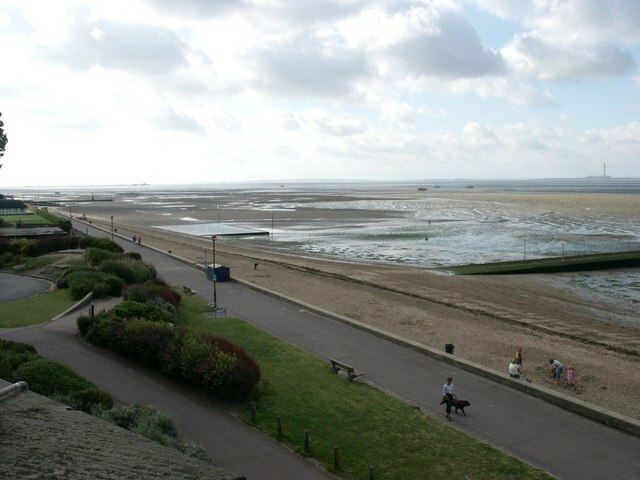 Photograph of Chalkwell Esplanade used under Creative Commons (Attribution-ShareAlike) licence. View the original here.